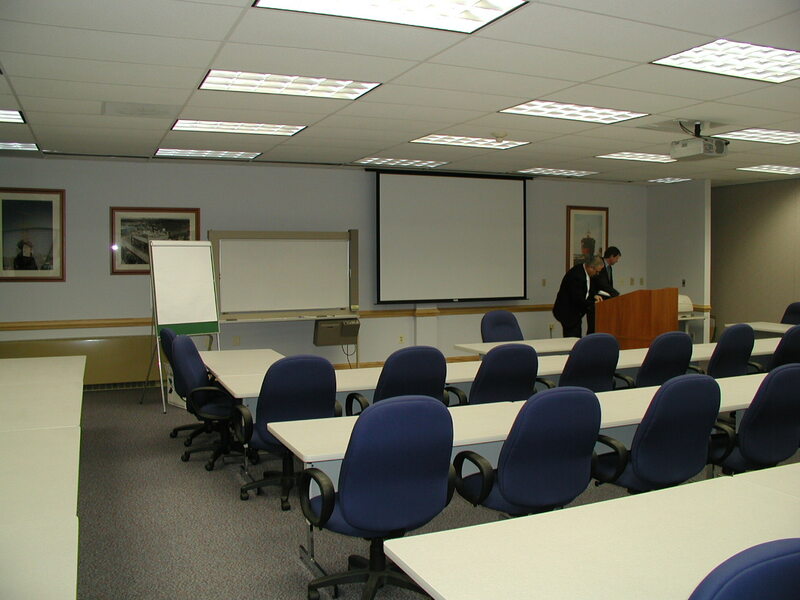 In Spring 2003, INTECaec performed a design build contract to develop a 3,500 square foot conference room at the Coast Guard Yard, Cutis Bay, Maryland. The design included a dedicated split HVAC system, electrical infrastructure upgrade, rehabilitation of a three-story stairwell, and creation of a conference room within a secure basement warehouse area. 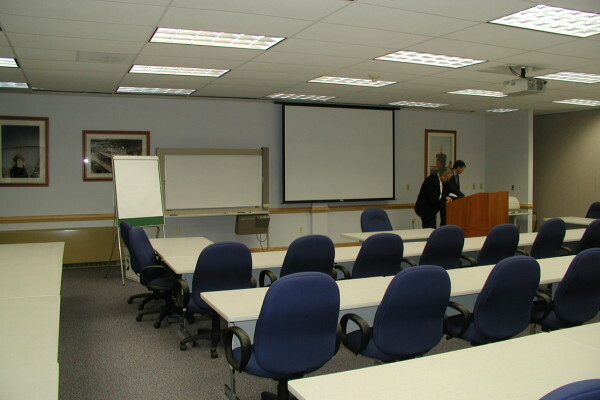 Equipped with audio/visual/teleconference equipment and with requirements for public access, converting this space to a conference room posed many challenges. Foremost among the challenges was to upgrade the existing stairwell to be both attractive and to meet egress requirements and to provide a second exit while maintaining vehicular access to the warehouse areas. Bringing in ventilation air and providing the dedicated HVAC system required tight coordination within the existing building and reassessment of the conditioning for the entire space at that level. Though small the project required the integration of several engineering disciplines. INTEC performed the design of the project and subcontracted and provided management of the construction phase.